Sonos Play:1. This is the solution I use and it works well. Our family installs the Sonos app on our iPhones/iPad and we can control the Apple Music. 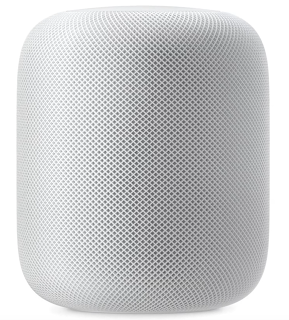 However, I’d like to have voice control for Apple Music and improved sound quality as well smart assistant/home automation capabilities. The new Apple HomePod looks like it will be a good fit for my needs but only time will tell. Home automation and smart devices are constantly rising in popularity. Complete home solutions are already available in the world of automation. A Crestron Programmer would be able to design and implement the automation systems that could truly convert a property into a smart home.